After Builders Cleaning Domestic & Commercial Romford RM | Quality Property Care Ltd. 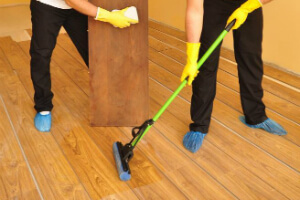 Contact our experts right now by dialling 020 3746 4287 and get your property normal again with out professional after renovation cleaning service. We use only the finest of detergents to guarantee you get what you’ve called us for. All furniture and picture frames dusted, mirrors and glass tables cleaned. We again pay attention to the smaller things like fingerprints on door frames and light switches, with expert window sill cleaning. All of the carpets in the property are vacuumed, including under the bed if possible, for not carpeted floors we have a mop for a clean finish. Marks on walls are removed upon request, just like skirting boars and cobwebs wiped down. After we are done we leave all rooms tidy and clean, if you request we can also clean your blinds. The bath is rinsed, left shining and cleaned, if needed the shower recess is scrubbed clean, the shower fittings and glass are cleaned, the basin and vanity scrubbed. The toilet, bidets and other WC parts are disinfected, cleaned, including their bases and behind them, mirrors are polished and cleaned if necessary. The floor is mopped and vacuumed to remove any residue and stains, fingerprints are wiped away and the light switches are cleaned. All tiles and fittings are left shining and cleaned, and the waste bin is left shining and cleaned, door frames are not left unattended, they are also cleaned from top to bottom.